Provita Ewe Two is a fast-acting, high energy drench for sheep with suspected twin lamb and/or ewes needing extra minerals and vitamins at times of stress. It contains an instant energy source and high levels of 14 different minerals and vitamins. 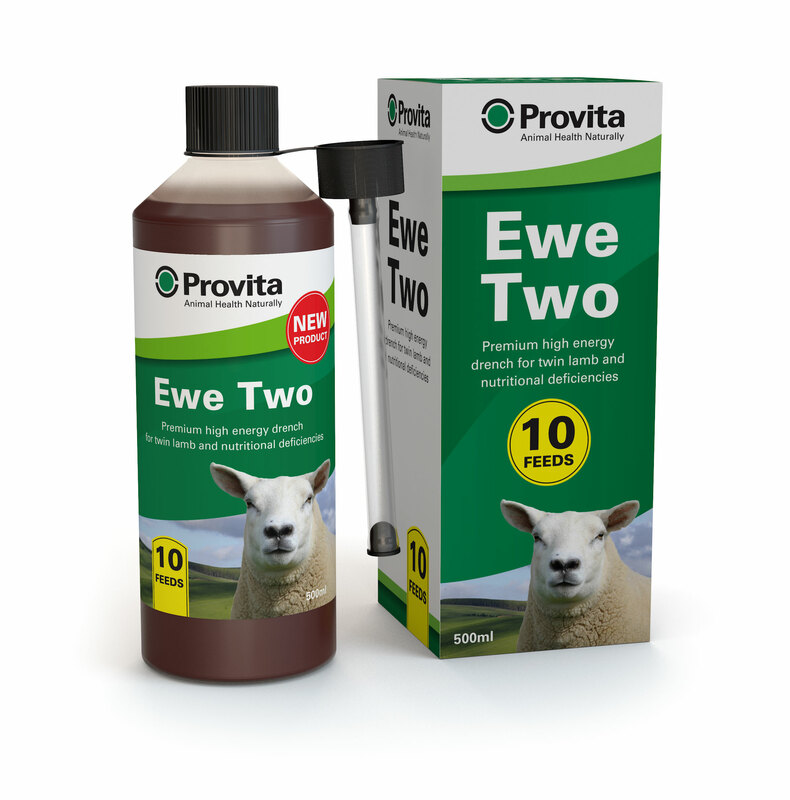 The high levels of Cobalt, Selenium, Iodine, Iron, B12 and Vitamin E will counteract the most common deficiencies that can affect ewes around time of lambing. It should be used for ewes that have suspected twin lamb either before or after they have gone down, for ewes with difficult deliveries, lambing exhaustion or when stressed e.g. poor weather.